Bad news for people who like saving money: JetBlue has raised its prices on checked bags considerably. The measure started Monday, endearing the airline to no one aside from competitors intent on stealing its business. Now, JetBlue's fee for a first checked bag is $30, up from an original price of $25. For a second checked bag, it'll cost $40 (up from $35), while a third checked piece of luggage will garner a $150 fee (up from $100). Bloomberg reports the move is meant to mitigate the rising cost of fuel while ancillary revenue -- things like bag fees, first class upgrades, etc. -- are on the wane. “As a matter of good business, we constantly review and adjust our ancillary pricing to ensure a healthy business,” a spokesman told the publication. Airlines are usually wont to emphasize how they're leading the industry in ways that bode well for customer satisfaction. JetBlue's price hikes will invariably have a hard time accomplishing that end, as it now boasts some of the highest bag-checking fees of any domestic carrier. Forbes notes that American, Delta, and United all charge $25 for the first bag, while discount carriers Sprint and Frontier charge $50 for the first piece of luggage. 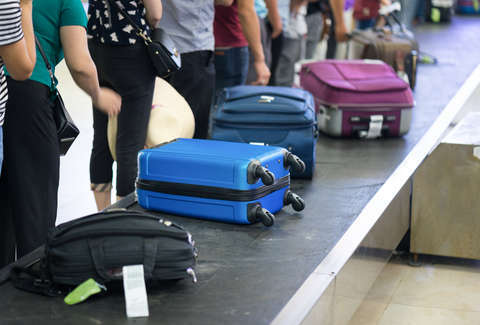 Southwest remains the only major US airline to allow the first two bags checked free of charge. With this in mind, it's smart to pack with militaristic precision to ensure you can go anywhere with just one bag. Plus, JetBlue is quick to flood the market with flash sales that can help you forget about the ancillary headache, if only for a little while.